The flu season that has stretched between late 2017 and early 2018 has been one of the worst in recent memory. Incredibly, the flu has killed around 4,000 Americans a week – a stunning toll for a sickness that's often disregarded as a common rite of winter. However, the seriousness of this flu season cannot be underscored enough: In late January, The New York Times reported the U.S. Centers for Disease Control and Prevention expected the season to meet or surpass the 2014-15 season when 34 Americans per 100,000 got the flu, and instead approach the critical levels of 2009 when the peak of the swine flu scare was reached. Indications are this season is well on its way there: CDC data showed during the fifth week of 2018, the current flu season had led to a cumulative 60 hospitalizations per 100,000 in population. At that same point, the 2014-15 season caused closer to 50 hospitalizations per 100,000, while just a year ago in 2016-17 the cumulative hospitalizations per 100,000 was around 35. "I wish there was better news this week, but almost everything we're looking at is bad news," said Anne Schuchat, the CDC's acting director, in discussing the latest statistics. While the flu season carries risk for any person, seniors are especially susceptible to the dangers of contracting the flu. Aging takes a toll on the immune system, and if an illness makes it in, the condition may cause more problems in even a healthy senior, as the body is less able to fight off infection and disease. Flu awareness is a constant theme in senior communities and the public once winter hits, but the general attitude of "been there, gotten that flu shot" may lull some into a false sense of security knowing they've already come through many battles with the flu. However, the grave threat the 2017-18 flu season poses to seniors is one that must be met with every amount of caution and prevention possible. The green leaves may begin returning to trees soon, but in the meantime, the flu is still here and as dangerous as ever. It's important that seniors understand what risks are present, where flu transfer hot spots exist in their community, how they can take measures to protect their health and what to do if they are concerned they might have the flu. This tip almost goes without saying, but considering the situation, some repetition wouldn't hurt: If you haven't already, get a flu shot! It's never too late to get the flu shot, and while there has been some debate over the effectiveness of this season's vaccine, there's zero risk in making sure you've pursued every means of prevention. Many times, local health care organizations will partner with senior communities to stage a flu shot clinic on premises so seniors don't have to worry about traveling to and from their appointment. If you're able-bodied but still haven't gotten a flu shot, check in with your local pharmacy. You can even contact the staff at your retirement community on how you can get a shot. 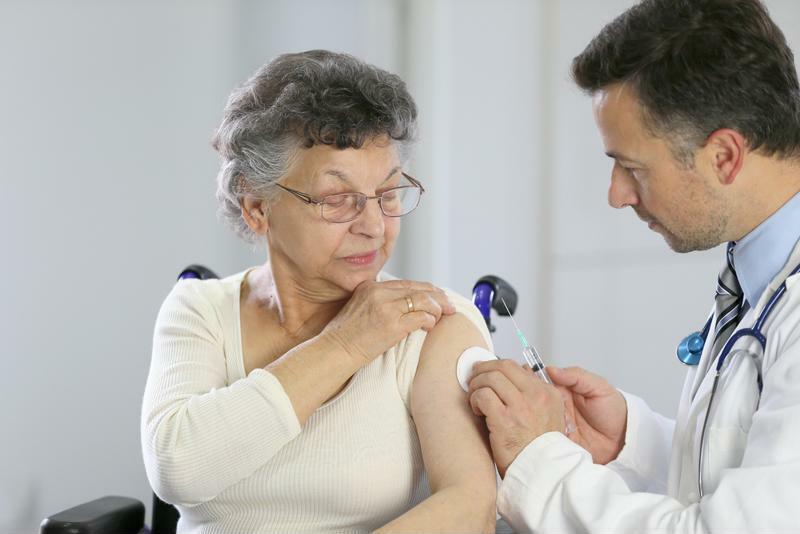 Getting the vaccine is the simplest precautionary action to take, and one that is a must for any and all seniors. The flu can be spread through molecules in the air, but it's also just as easily transmittable if left on surfaces that seniors interact with every day, like stair banisters, hallways, rail guards, sink faucets, kitchen countertops, water fountains and shared spaces in a common room. It's best at a time like this when the flu poses so much danger that seniors almost operate with the assumption that anything that can expose them to the flu will. That means washing your hands not just after using the bathroom, but after every interaction or common daily activity. Again, while this may seem like a bit much to some, there's no sense in opening the door even a little for the flu during this season. A no-frills way to keep you and your surroundings clean is keep a bottle of hand sanitizer or some other antibacterial gel on you at all times. Avoid touching any part of your body until you know your hands are clean. Get a flu shot if you haven't already. This advice piggybacks on the previous item a little bit, but is still worth mentioning generally. Washing your hands is a part of practicing good health habits overall, and you should carry over the caution across the whole of your day-to-day life, especially when it's active flu season. Some easy points to be mindful of here include being courteous and covering your mouth or nose when you cough or sneeze and throwing away any trash you produce promptly. Keeping a clean and healthy environment increases your protection against the flu, and can set an example for others around you. Even if it means missing bridge club this week, if you know somebody with the flu, try not to interact with them personally until their symptoms have passed and they're in the clear. The flu thrives on human-to-human transmittance, and it behooves you to not knowingly place yourself in a precarious situation that might lead to your own contracting of the flu. While it can be hard to not see friends and family, they'll certainly understand if they have the flu. You don't have totally quarantine yourself, but you must be vigilant in ensuring you don't unnecessarily put yourself in harm's way. Besides, that's why we have smartphones now! If anything, you might be able to play mahjong with a friend on a tablet while they're still recovering. "Just remember, contact a doctor if you fear you have the flu." Diet can play a big role in keeping you healthy throughout the flu season, believe it or not. While there's no particular super food that can inoculate you entirely from the flu, maintaining a healthy diet that is rich in vitamin C and generally nutritious can help keep your body in working condition to ward off sickness. It also helps to drink lots of fluids; staying hydrated is a No. 1 priority during flu season. But don't fill up on sodas or other sugary beverages with additives. Try focusing on drinking as much water as you can, and maybe also try out some juices to get your extra vitamins. If you're ever concerned you have contracted the flu, do not hesitate in seeking professional help. Many may think that they can mitigate and treat their symptoms on their own, but the fact of the matter is the flu requires medical attention. Contact a personal or family doctor, or somebody else in your community who can help arrange an appointment with a physician. The flu can quickly build into a life-threatening condition for seniors, so it's of the utmost importance that seniors seek medical help at the earliest sign they might have contracted the flu. While there might be a little anxiety to this flu season, seniors can rest assured they've done everything to protect themselves if they follow these steps. Just remember, contact a doctor if you fear you have the flu.